Listen to "The Hideaway" on your iOS and Android device. When her grandmother's will wrenches Sara back home from New Orleans, she learns more about Margaret Van Buren in the wake of her death than she ever did in life. 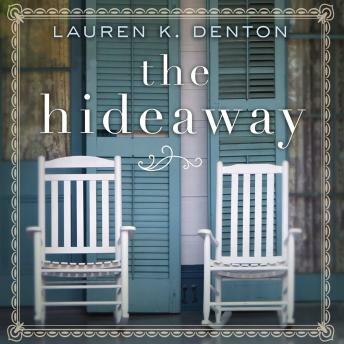 After her last remaining family member dies, Sara Jenkins goes home to The Hideaway, her grandmother Mags's ramshackle B&B in Sweet Bay, Alabama. She intends to quickly tie up loose ends then return to her busy life and thriving antique shop in New Orleans. Instead, she learns Mags has willed her The Hideaway and charged her with renovating it-no small task considering Mags's best friends, a motley crew of senior citizens, still live there. Then she discovers a box Mags left in the attic with clues to a life Sara never imagined for her grandmother. With help from Mags's friends, Sara begins to piece together the mysterious life of bravery, passion, and choices that changed Mags's destiny in both marvelous and devastating ways. When an opportunistic land developer threatens to seize The Hideaway, Sara is forced to make a choice-stay in Sweet Bay and fight for the house and the people she's grown to love or leave again and return to her successful but solitary life in New Orleans. Did not like the narrator reading this book. Pleasant book and story. This should be made into a movie to be viewed on the Hallmark Station. I felt there were many awkward pauses made by the narrator that interfered with the flow of the audio.